While I was writing this post, I listened to Lying to You by Keaton Henson. Try it ! Those highlighters are da pure bomb. They must be my 2019 Makeup Gem for sure. And I wasn't even looking for them when I came across them... It was the beginning of March, I had just learned that there is an L.A. Girl store in Paris. I wanted to check out the new concealer shades and their foundations because I've been wearing the Pro Conceal concealer in Natural with M.A.C. 's Fix+ in Cherry Blossom as a foundation lately and I loved the coverage. I wanted to see if either of the L.A. Girl foundations would look good on my for makeup looks and for work as well so one day after work, I went to the store. Never leave me in a makeup store : I'll start swatching every damn little thing. The fact that every L.A. Girl item was 20% off didn't help either. As I've been a lipgloss junkie lately, what first got my attention after I'd chosen both foundations and concealers were the Glazed Lip Paints that I'll review as soon as I've received the remaining shades I've ordered (I have bought almost the entire collection !) and as I was looking for more things to swatch, what did I see in the middle of the shelf ? 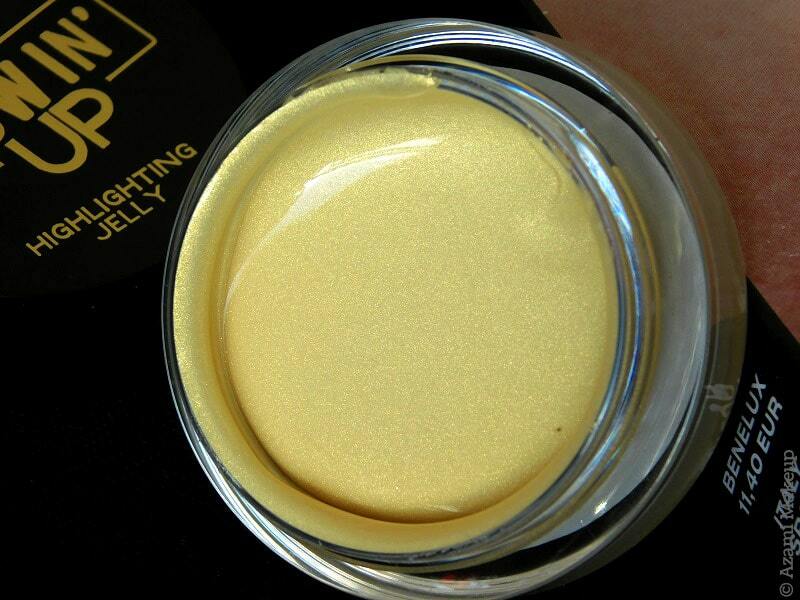 Those Glowin' Up Jelly Highlighters. At first I thought those were super new products but according to posts and reviews, they've been on the market for almost six months. 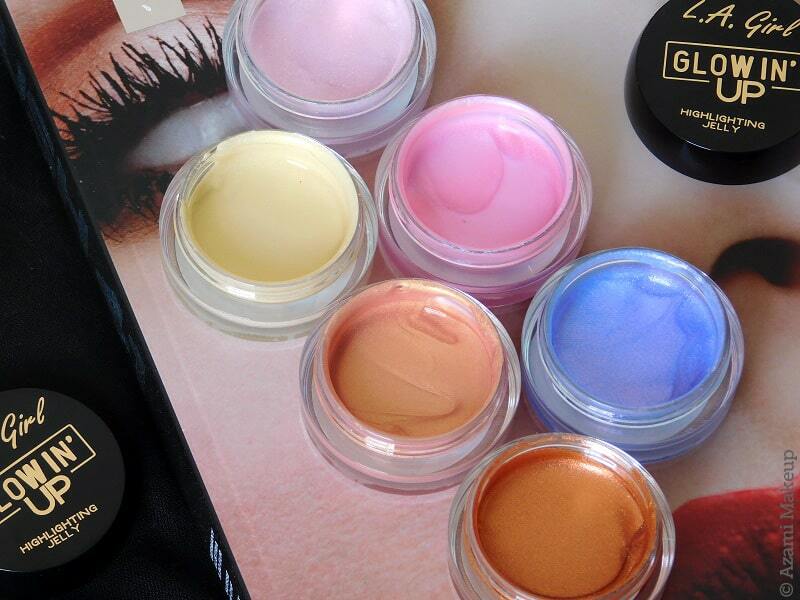 They're basically a highlighting gel in a small plastic pot and what I loved first is the variety of colors since there are 8 and there's your classic colors as well as unusual colors that I've never seen in any other brand before, and they're all very different from each other. 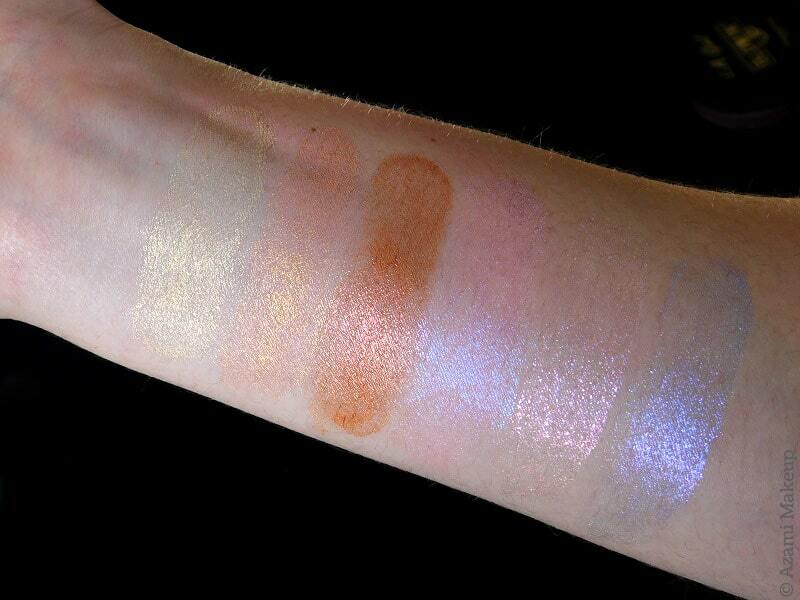 The swatches were very difficult to photograph but I will do separate swatches of each on Instagram in the future. 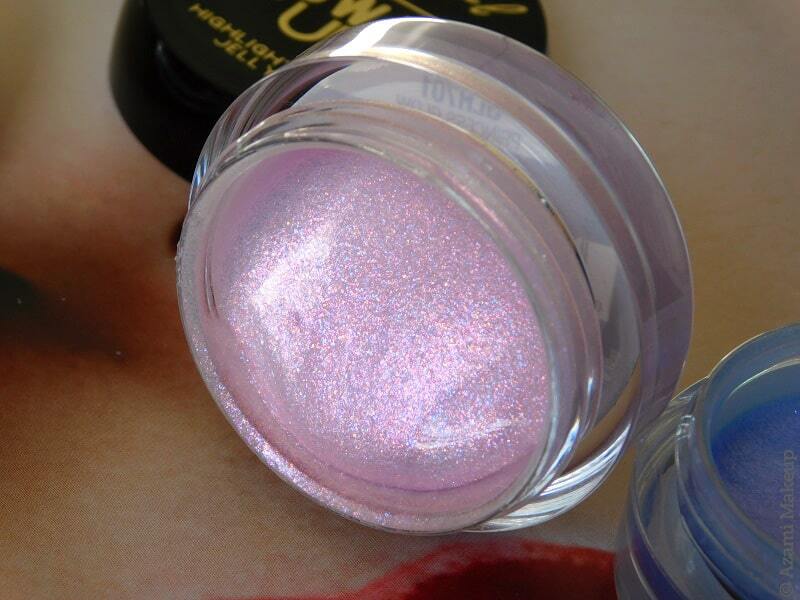 - Cosmic Glow (a glittery blue-toned purple with pink and blue sparkle, looks like Princess Glow but on a purple base). They come like that, no box whatsoever but I really appreciated that they were closed and protected by an aluminium sheet right under the lid. All of these highlighters are 8.5g and without the discount, I would have paid €8 for each of them which is a pretty great price considering that the NYX Cosmetics A Bit Jelly highlighter that has just been released is €13.90 - the fact that I paid just a little over €6 for each is just a bonus, and I've considered buying the other two shades even if I know I don't need them ! 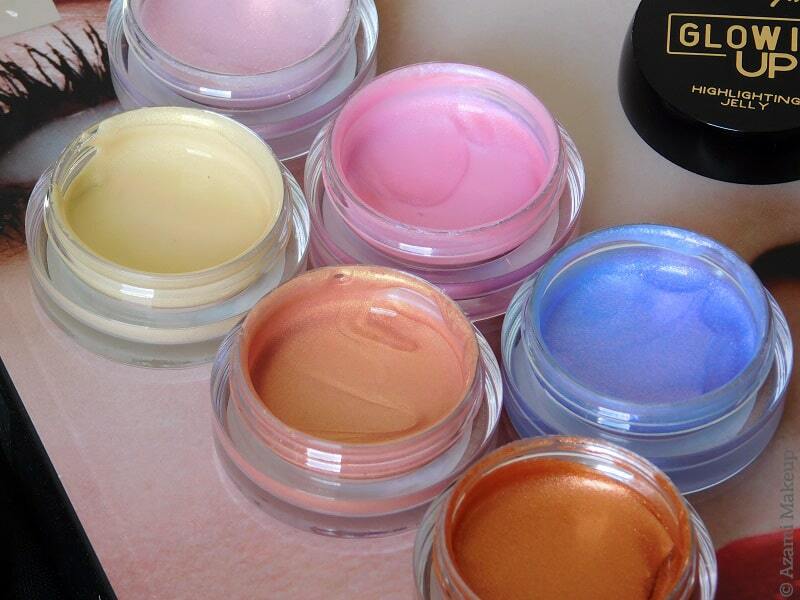 The fact is, I collect makeup in little round pots, like these, like gel eyeliners, like pigments... I'm crazy for small pots and I really had to curb myself in the store. 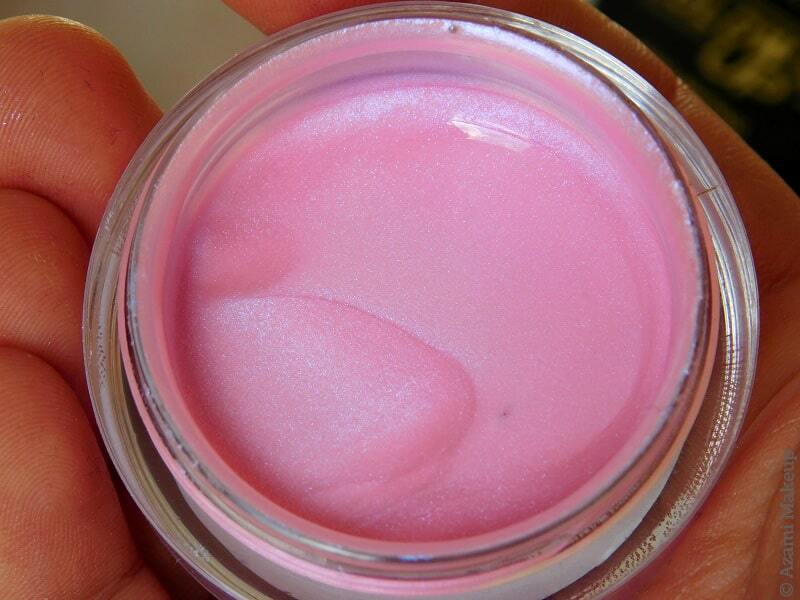 The jelly texture is really different from anything I've tried before, it looks like slime and is bouncy to the touch which feels weird because you feel like you've picked up no product when you actually have. As a makeup artist, I feel these could be a little unhygienic to apply on models because I already have used them on a photoshoot and I needed to disinfect my hands every time before using them - it should be okay for a personal use because not that many people think of that anyway. I am crazy about these - I love them so much that I was initially planning on reviewing them in May (that's how far my blog planning goes to this date) but I quickly changed my mind and thought I should let you know about these asap. 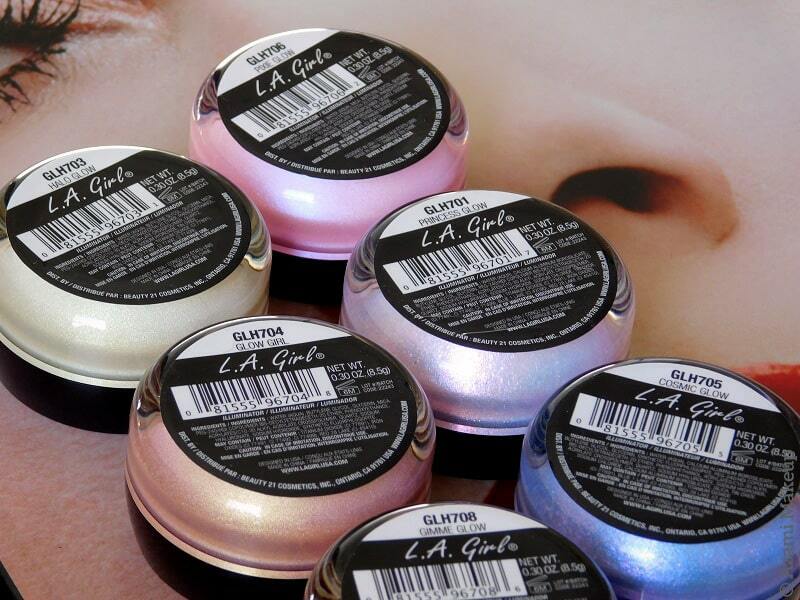 I had never tried the brand L.A. Girl before and it was a big, reckless step buying six highlighters at once. The truth is, I love patting them on my cheekbones, my browbone and my nose and I love them so much that I sometimes go way overboard with the color. Just pat them on for a better result and work kind of quickly with them because if you add more and more and more, they'll dry down and you'll start creating patches. What I do is I apply two layers max and anyway, you definitely don't need any more when you see that dewy, wet, summery glow they give. 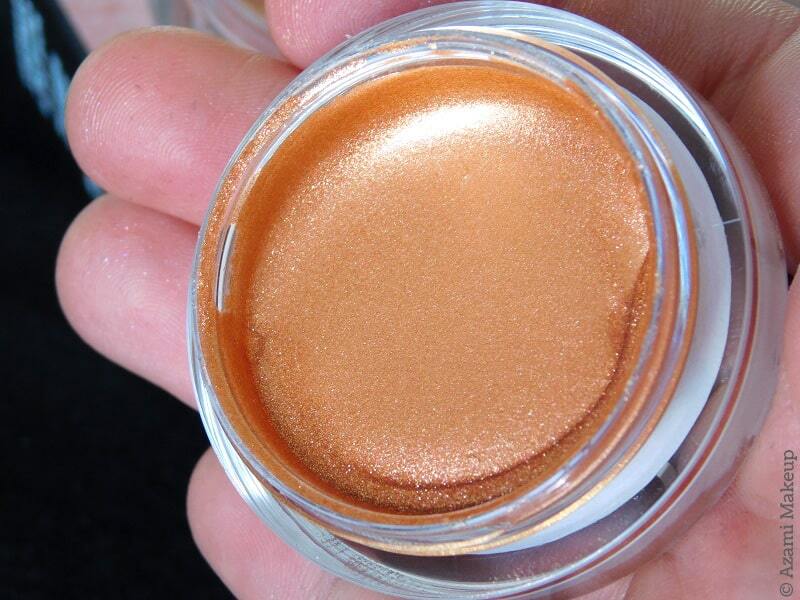 The shimmery shades are a bit trickier to use because you have to make sure that the color is smooth everywhere but don't take too much product on your finger and you'll be alright. 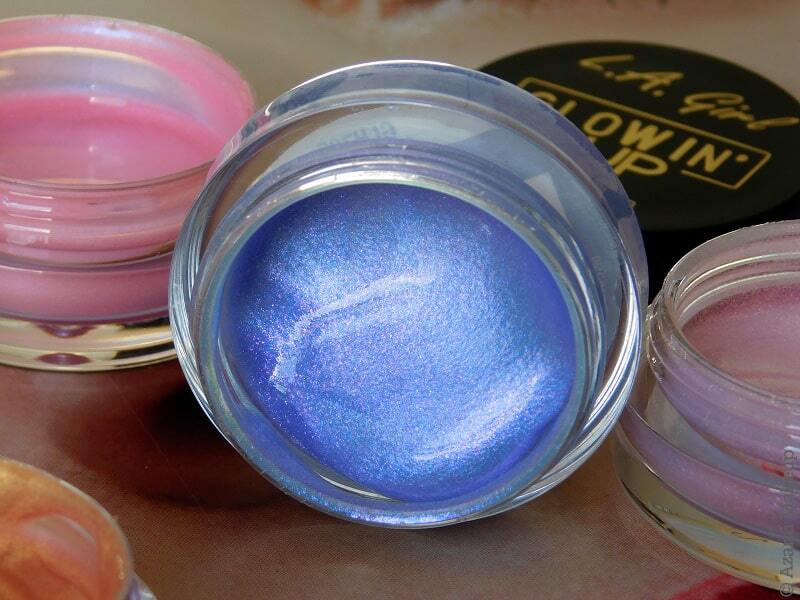 Some of the shades are pure shimmer while some are pure glitter with a colored base and I would never have thought that my favorite would be a glittery highlighter - hello Princess Glow ! 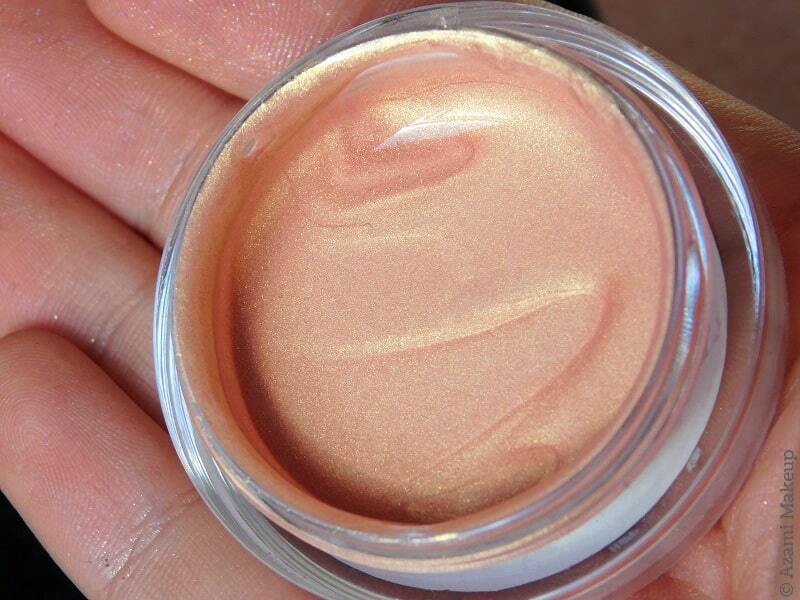 That is actually the shade that made me want to discover the other ones and the one that triggered my purchase. Even when I have one of the glittery highlighters on, the finish is still very dewy like I've just wet my face and that is a fresh finish I love. Oh, and last but not least, once they're on, don't expect any stickiness or for them to budge - they'll stay on for the entire day ! 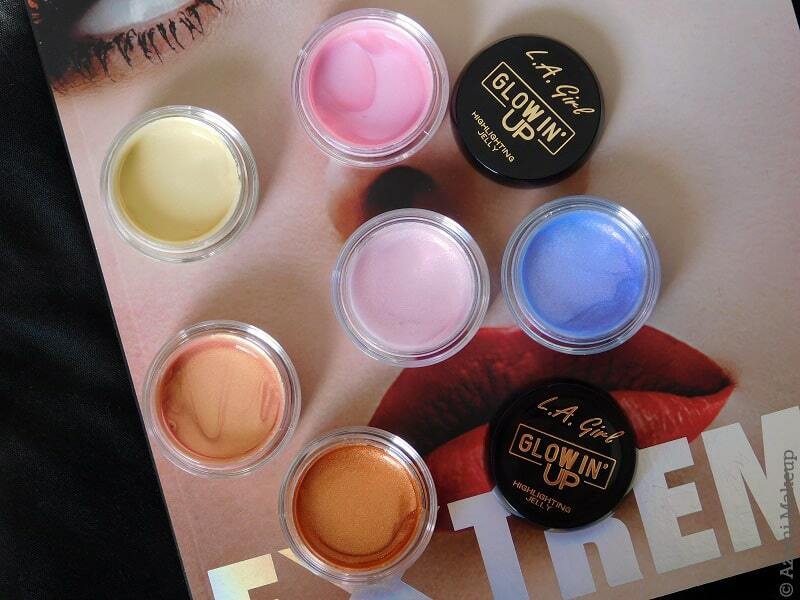 Spring is on so those are going to be coming with me on many photoshoots in the future and they've definitely become a go-to product for me ! By the way, come follow me on my Instagram Pro Makeup Artist account, that way you'll be able to see my work everyday !